Making the decision to join or purchase another company is a daunting one, even for the most experienced business person. We have solid experience investigating and implementing purchasing opportunities and can improve your chance of success. To remain competitive in a market, organizations will join efforts to become a single, stronger entity. Part Time CFO will help guide your company through the process, allowing you to make better, more-informed decisions, and ensure the longevity of the partnership is sustainable. Our team will make your business transition as seamless as possible. We can evaluate, negotiate and close transactions and assist in the successful transition into your existing business. Mergers are when two companies, often equal in size, come together to operate as a single entity in attempts to be more cost-efficient, dominate new markets or increase market share. Both companies’ stocks will be eliminated, and the newly formed company will receive new stock. Acquisitions occur when companies come together by the process of one firm targeting another and clearly establishing itself as the new owner. Legally, the company that has been taken over ceases to exist. If you’re merging into familiar markets or expanding into new territory, Part Time CFO will get you prepared to take on the obstacles ahead and provide you with professional advice to keep the partnership flowing smoothly. Horizontal Merger – Companies that share the same market and product lines that are in direct competition. Vertical Merger – Merging from different organizational levels. For example a customer and a business, or a business and a supplier. Market-extension Merger – Companies that sell the same products in different markets. Conglomeration – Companies that have no common business aspects. Product-extension Merger – Companies selling related products in the same market. The professionals at Part Time CFO use proven methods to compare and contrast your business’s opportunities to determine the best value. 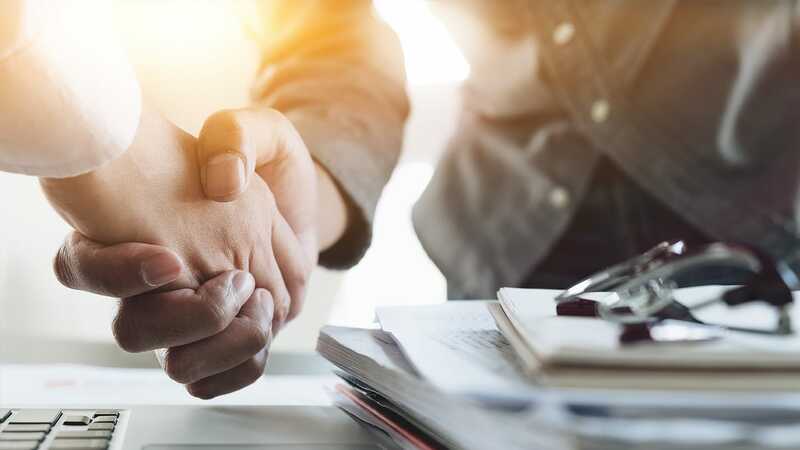 With years of experience, our experts can execute and negotiate acquisition and merger deals for your business, always with your company’s best interest in mind.